While wild frogs thrive off of buzzing flies and other insects in the marshy areas where they love to live, this method of feeding is not exactly practical in a home terrarium setup. 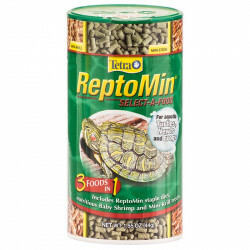 Foods formulated specifically for frogs, newts, aquatic turtles and other amphibians provide all of the nutrition your pet needs in a conveniently sized pellet or stick, saving you the hassle of going live fly-catching every other day. 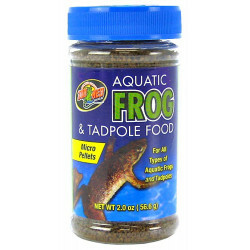 Our wide selection features foods specially formulated for adult frogs, tadpoles, newts, and more. Pet Mountain's Frog and Newt Food store features top quality products from the most trusted names in aquatic reptile and amphibian care, including Wardley, Tetrafauna, and Zoo Med. 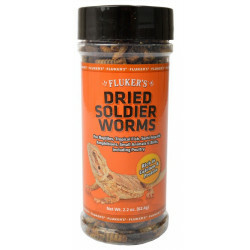 Wardley Reptile Sticks Fortified with Calcium are a nutritionally balanced floating food that's ideal for aquatic reptiles like turtles, frogs, and newts. 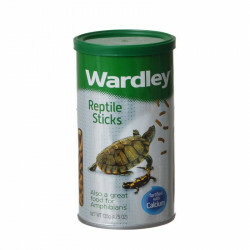 Wardley Reptile Premium Sticks are formulated from a variety of natural ingredients and fortified with vitamins and minerals such as calcium, for normal shell growth in turtles. 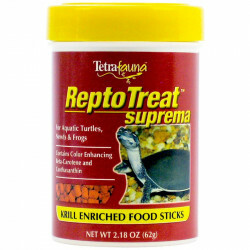 Tetrafauna ReptoTreat Suprema is a safe, affordable, convenient, alternative to live foods. 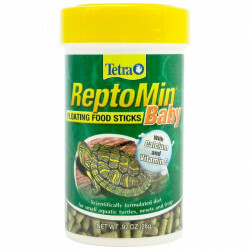 ReptoTreat Suprema food sticks are high in shrimp and krill and are highly palatable. 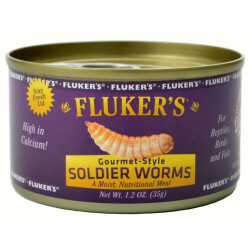 This nutritious supplemental food provides basic nutrients plus Omega-3 fatty acids and color-enhancing canthaxanthin. Pet Mountain is proud to offer discount bulk pet products. Zoo Med Pacman Frog Food is specifically formulated for horned frogs and other large frogs. This nutritious, tasty frog food can be fed to juvenile and adult frogs and serves as a perfect replacement for your frog's natural diet of insects and rodents.